Texas abortion providers’ Monday victory was short-lived. The U.S. 5th Circuit Court of Appeals on Thursday reversed a federal district court ruling that found part of the state's new abortion regulations unconstitutional. 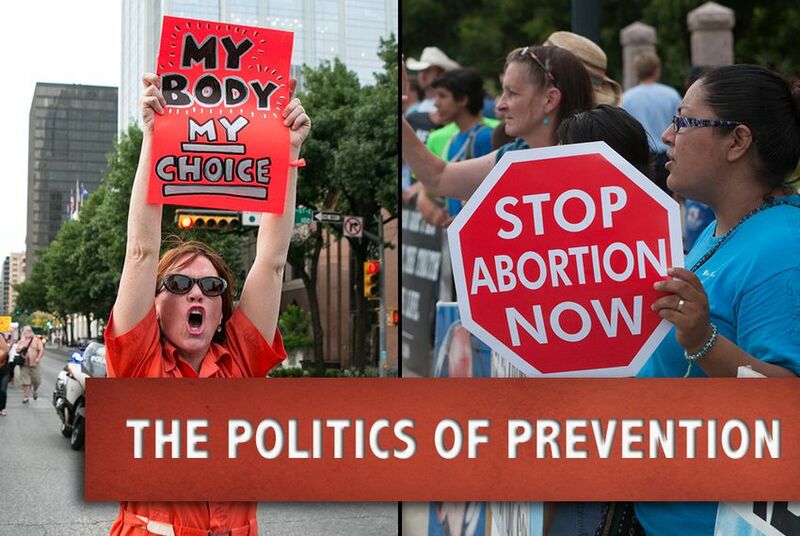 Texas abortion providers’ Monday victory was short-lived. The U.S. 5th Circuit Court of Appeals on Thursday reversed a federal district court ruling that found part of the state's new abortion regulations unconstitutional, meaning the provisions of House Bill 2 could take effect immediately if state officials choose to enforce them. “This unanimous decision is a vindication of the careful deliberation by the Texas Legislature to craft a law to protect the health and safety of Texas women,” Attorney General Greg Abbott said in a statement. A three-judge panel in the 5th Circuit appellate court lifted a permanent injunction placed on the abortion regulations by a lower court, arguing in a written opinion that the state was likely to succeed in its legal arguments. The judges, Priscilla R. Owen, Jennifer Walker Elrod and Catharina Haynes, wrote that "there is a substantial likelihood that the state will prevail in its argument that Planned Parenthood failed to establish an undue burden on women seeking abortions or that the hospital-admitting-privileges requirement creates a substantial obstacle in the path of a woman seeking an abortion." Furthermore, they wrote,"we also conclude that the state has made a strong showing of likelihood of success on the merits, at least in part, as to its appeal of the injunction pertaining to medication abortions." The appellate court's decision overrules U.S. District Judge Lee Yeakel’s ruling on Monday that a provision in HB 2 that requires abortion doctors to have admitting privileges at a nearby hospital imposed an undue burden on women seeking the procedure. Additionally, Yeakel ruled that it would be unconstitutional for the state to require physicians to follow federal standards for drug-induced abortions if a physician determined it would be safer for the woman to use a common evidence-based protocol. Abortion providers, many of whom said they would be forced out of business if those provisions took effect, were expected to immediately appeal the 5th Circuit's Thursday decision. It was still unclear late Thursday whether the state will enforce the provisions while legal wrangling continues. The 5th Circuit's decision is the latest step in a back-and-forth appeals battle that could continue all the way to the U.S. Supreme Court. “Allowing the admitting privileges requirement to go into effect, even for a few weeks or months, would decimate the availability of abortion services in the state,” Janet Crepps, the plaintiffs’ attorney, wrote to the 5th Circuit in response to the state’s request for an emergency stay. She argued that a third of the state’s abortion facilities would have to stop performing abortions if the hospital privileges requirement in HB 2 takes effect. As a result, she said, some women would be forced to carry unwanted pregnancies to term, face increased travel burdens and costs, and endure longer wait times for procedures, which could increase the risk of complication. She said Yeakel also granted relief for drug-induced abortion restrictions in instances necessary to preserve the life or health of the mother. During the district court hearing, the state’s attorneys countered the plaintiffs' arguments that women would lose access to abortion services, and claimed that the law advances the state’s interest in protecting life. They also argued that doctors should petition the U.S. Food and Drug Administration, not the state, if they believe that the agency’s protocols are outdated. Two additional provisions in HB 2 remain unchallenged — a ban on abortions after 20 weeks of gestation, which took effect on Oct. 29, and a requirement that clinics meet the same standards as ambulatory surgical centers, which takes effect in September 2014.